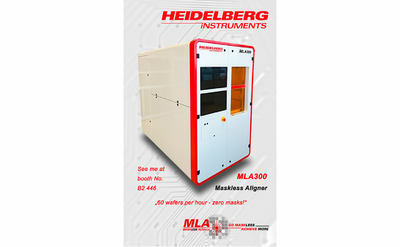 With an installation base of over 750 systems in more than 50 countries, Heidelberg Instruments Mikrotechnik GmbH is a world leader in the production of high-precision maskless laser lithography systems and maskless aligners. Due to their flexibility, power and versatility, these systems are employed for direct writing and photomask production in a wide range of settings and applications in research, development, and industry. Customers include some of the most prestigious universities and industry leaders in the areas of MEMS, BioMEMS, nanotechnology, ASICS, TFT, displays, micro optics, and many other related applications.